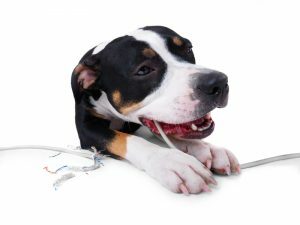 What do you do if you have a Destructive Dog? Finding the motivation for your dog’s destructive behaviour will help tailor the solution to your problem. All dogs require ongoing training from puppyhood and continuing through adulthood. Ensure your dog understands what is required from them. 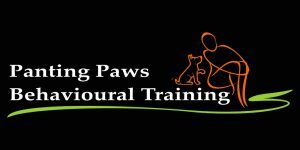 • Training: A typical obedience class gives you the basic foundations of training. There are also many other fun interactive training classes for you and your pooch to enjoy, such as Trieibball, Trick Training, Agility, and many more. • Encourage and reward your dog when they interact or take interest in objects/items they are allowed. • Restrict your dog’s unsupervised access to items you do not want them playing with. If your dog suffers from fleas, allergies, dental disease, matted fur, poor hygiene etc. this could be the cause of the destructive behaviours. Dogs will often display destructive behaviours when their health is not 100%. Do you leave your dog home alone with nothing fun to do? Do you have time to exercise your dog regularly? Boredom is a result of insufficient mental or physical stimulation. If your home, your dog’s environment, does not provide sufficient and variety of stimulation, then they will begin entertain themselves. Playing the radio or soothing music in the background can stimulate your dog. Try natural sounds and animal soundtracks. Various items placed in your backyard allowing your dog to investigate and explore naturally. Destructive behaviours can occur when your dog is anxious and upset when separated from you. This can be a frustrating problem and it is best to seek help form a professional dog behavioural trainer or your trusted veterinarian. For you to effectively manage this type of situation, you will need to work out HOW and WHY your dog developed this issue so you can implement the appropriate management tools and training aids to help. Dogs will do what dogs do! A destructive dog can be very frustrating to live with. Applying the correct and appropriate management and enrichment tools will generally help. Ensure your dog is receiving adequate training, has plenty of physical and mental stimulation and is clear on what is theirs and what is yours. Contact Christine on 0409 636 117 or info@pantingpaws.com.au for a private in-home training session or join one of our effective group dog training classes.